Floor exercises are often recommended to speed your recovery, but often times a stabilization ball or other device can add an element of variety and help speed healing because it works different muscle groups. No room for an exercise ball? 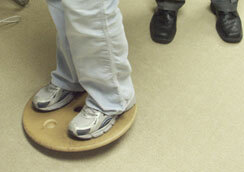 Try a low profile seat cushion. It’s portable and can be used almost anywhere. Balancing on an exercise ball or cushion can strengthen your core. Specially designed chiropractic pillows provide relief of neck pain with just the right amount of support. It’s easy to customize support by simply adding or removing water. Sleeping on a hypoallergenic, premium waterbase pillow is clinically shown to improve quality of sleep. When appropriate, Nashua Chiropractor, Dr. Stephen Dohoney recommends the use of high quality supplementation, like the Metagenics® brand, for regaining or maintaining good health. Metagenics is a science-based, premium quality nutraceutical and medical foods company offering a wide range of nutritional supplements. 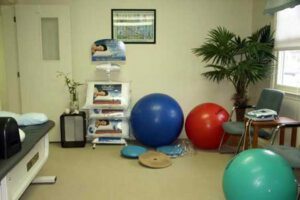 Ask Dr. Dohoney how chiropractic exercise equipment, a chiropractic pillow or nutritional supplementation can help improve your individual condition.